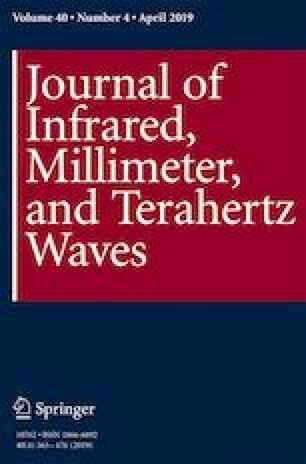 Investigations were carried out to develop terahertz (THz) techniques combined with machine learning methods for rapidly measuring benzoic acid (BA) additive in wheat flour. The absorption coefficient had a significant characteristic peak at 1.94 THz, which usually varies with the increase of BA additive concentrations. Correlation analysis was initiated to choose a frequency pair of 1.94 and 1.86 THz that improved the predictive ability of multiple linear regressions (MLR) model. Then, quantitative determination models were modeled between BA concentrations and THz absorption coefficients using partial least square (PLS) regression and least square support vector machine (LS-SVM). Compared with MLR and PLS models, the LS-SVM model could be regarded as an effective tool for quality control of wheat flour with a correlation coefficient of prediction (Rp) of 0.994 and root mean square error of prediction (RMSEP) of 0.12%. The results suggest that combining THz spectroscopy with LS-SVM has the potential to quantitatively analyze BA additive in wheat flour. This study received financial support from the Outstanding Youth Talent Program of Jiangxi Province (20171BCB23060), Education Department Project of Jiangxi Province (GJJ160478), China Scholarship Council (201808360317), Jiangxi Association for Science and Technology (JAST), and Doctor Start-up Program (368).